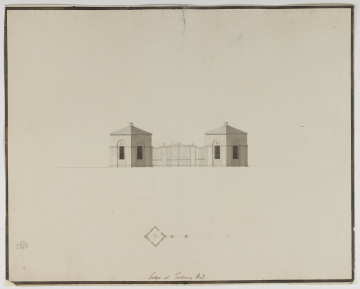 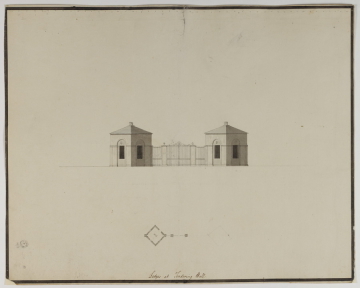 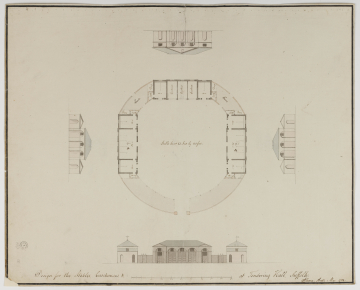 There are 14 drawings for Tendring Hall at the Victoria and Albert Museum (see P. du Prey, Sir John Soane, 1985, in series of 'Catalogues of architectural drawings in the Victoria and Albert Museum', catalogue 103-116. 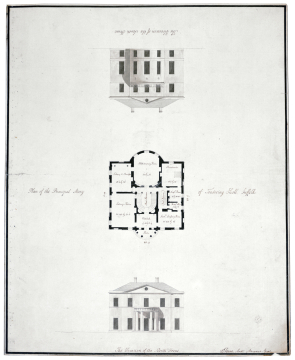 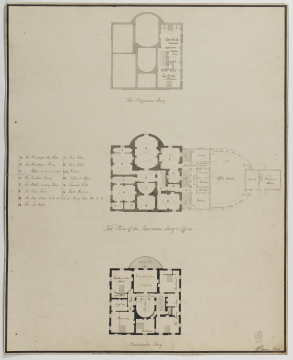 One of these (catalogue 108), a plan of the ground floor and three elevations, is dated 3 May 1784 and, inscribed 'First Design', presumably preceded drawing 5. 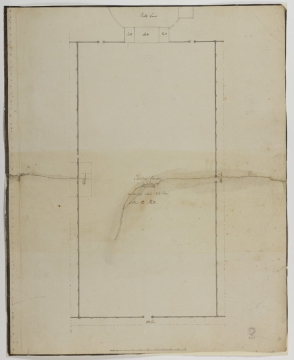 Five of the V&A drawings are dated (or datable to) December 1784 when it seems that a second set of contract drawings with revisions was made see note to following drawing.